Thanks to increased bot­tom bracket size, 2013 M10 S is stiffer. The frame also fea­tures increased ver­ti­cal absorp­tion to pro­vide more com­fort. 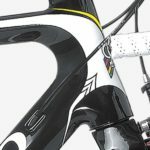 The same frame is com­pat­i­ble for both Di2/EPS elec­tronic groupsets and tra­di­tional mechan­i­cal groupsets, both with internal routing. The brake and derailleur cables are also routed internally for a modern clean look. 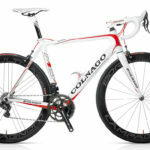 Colnago M10 S 2013, equipped with SRAM Red. MASS – Matte Black with White and Silver. Colnago M10 S 2013, equipped with Campagnolo Super Record EPS. MAYS – Black with Fluorescent Yellow. 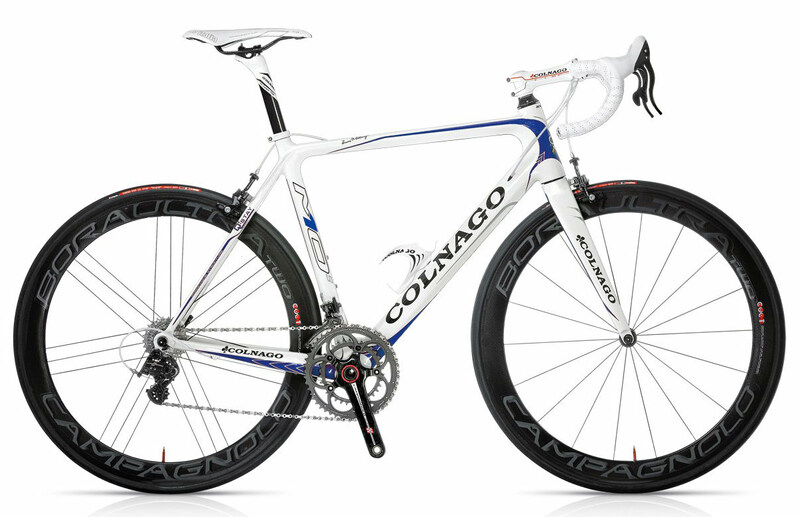 Colnago M10 S 2013, equipped with Campagnolo Super Record EPS. MABS – White with Blue and Silver. Colnago M10 S 2013, equipped with Campagnolo Super Record EPS. MARS – White with Glitter Red. 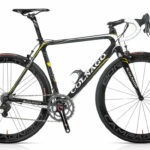 Colnago M10 S 2013, wquipped with Electronic Ultegra Ul2. MABB – Matte Black with Glossy Black. The bike is coming with 2 years of warranty.